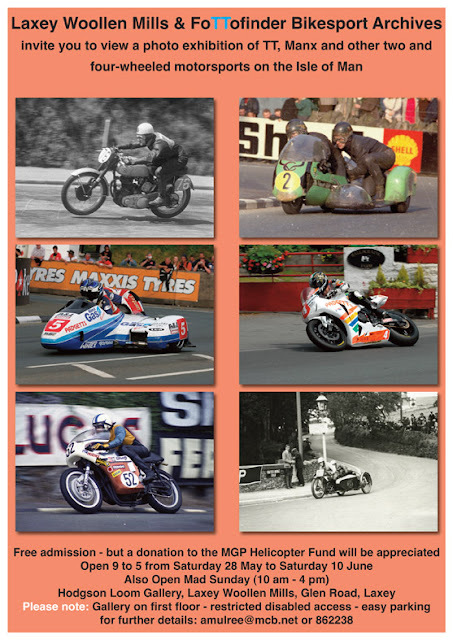 Every year at the Isle of Man TT and Manx Grand Prix, enthusiasts Bill Snelling and Fred Pidcock host a photo exhibition at the Laxey Woollen Mills displaying a selection of the 250,000 motorcycle racing images which make up the Fottofinder Bikesport Archives. 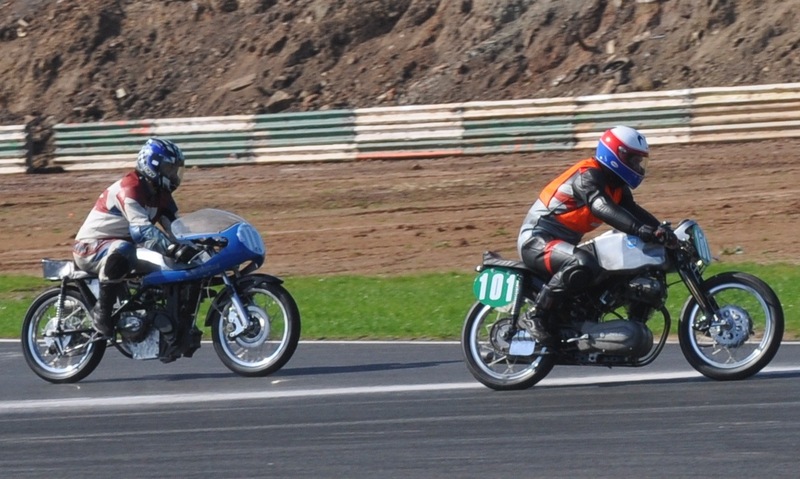 Admission is free but the hosts will be collecting for the Manx Grand Prix Supporters Club Helicopter Fund. 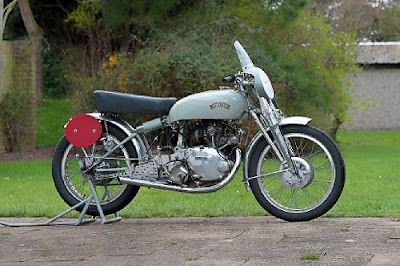 If you're off to the Island this year why not pop in, take a look back in time and help a great cause. 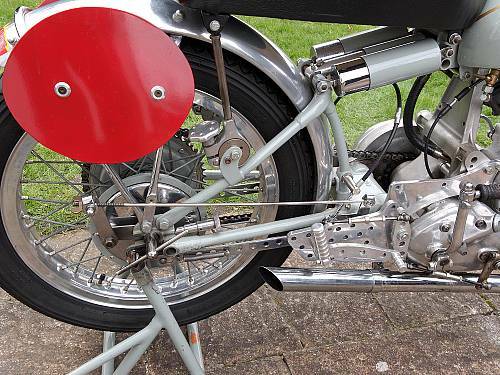 Based on a Series C Comet 500 single, a striking Grey Flash replica is for sale as part of the Bonhams Motorcycle auction at Staffordshire County Showground on 24 April 2011. 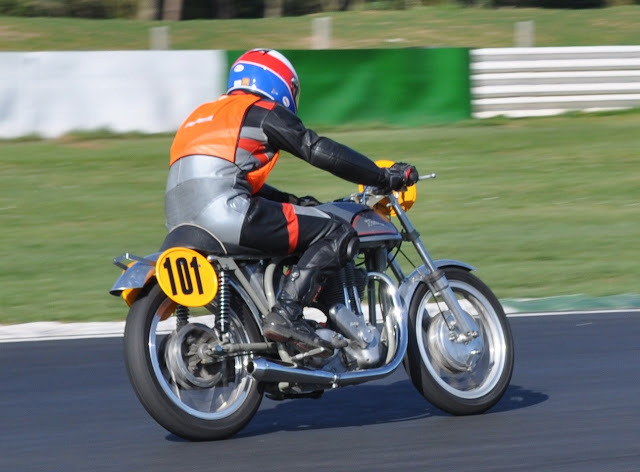 Originally capable of 115mph the racing trim Grey Flash was a formidable and rare racer- only 31 were ever produced. With an output of 35bhp at 6200rpm the works machines never won a TT race but did take several victories on the continent and famously at gave Geoff Duke's Norton a scare at Thruxton with John Surtees at the helm. 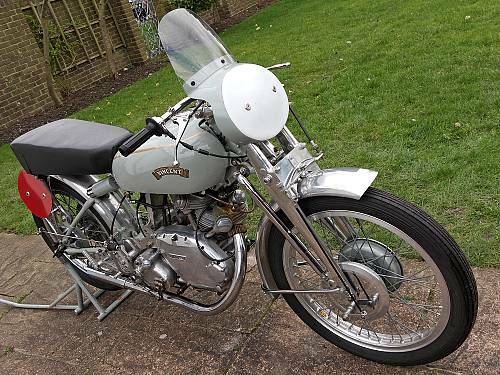 This particular Grey Flash Replica is complete with rear cantilever suspension, Girdraulic front forks and would make an excellent period race machine. It carries a pre-sale estimate of £8,000- £12,000. 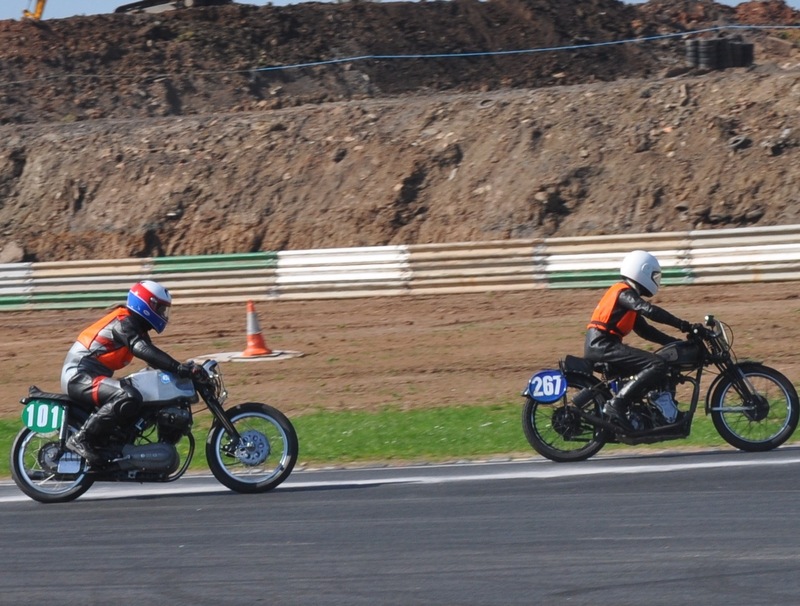 A selection of some of the tastier motorcycles spotted on the lunch break around the paddock at the VMCC test day. 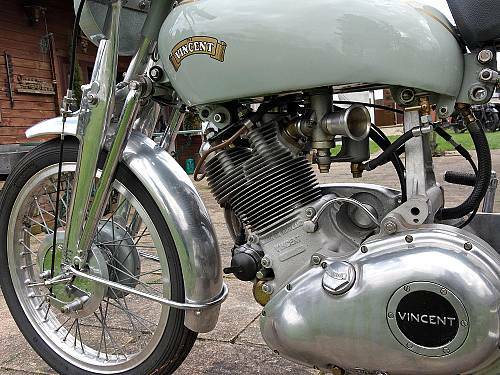 Look out for the rare Godet Vincent and Mularney 4 valve Manx.. 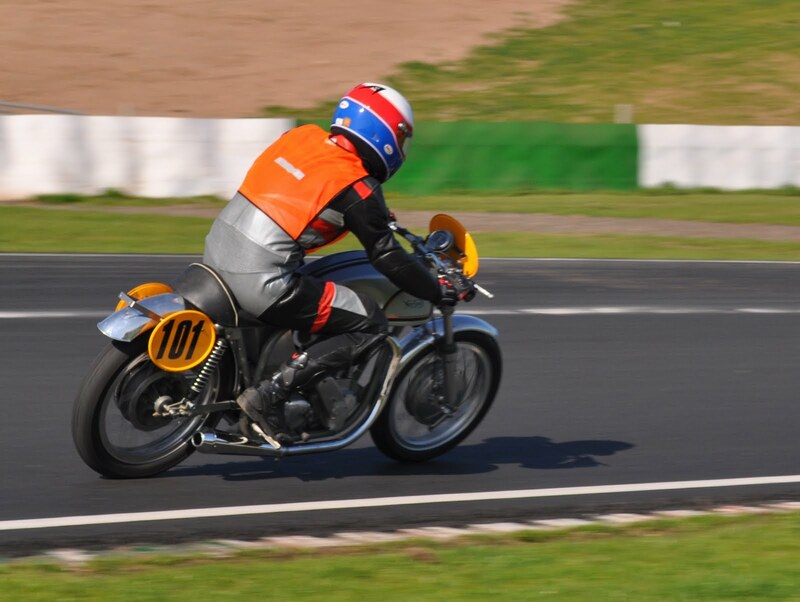 Some very sunny images of the recent test day at Mallory Park with NSU 250 Sportmax Replica and 500 ES2 'Green Meanie'. 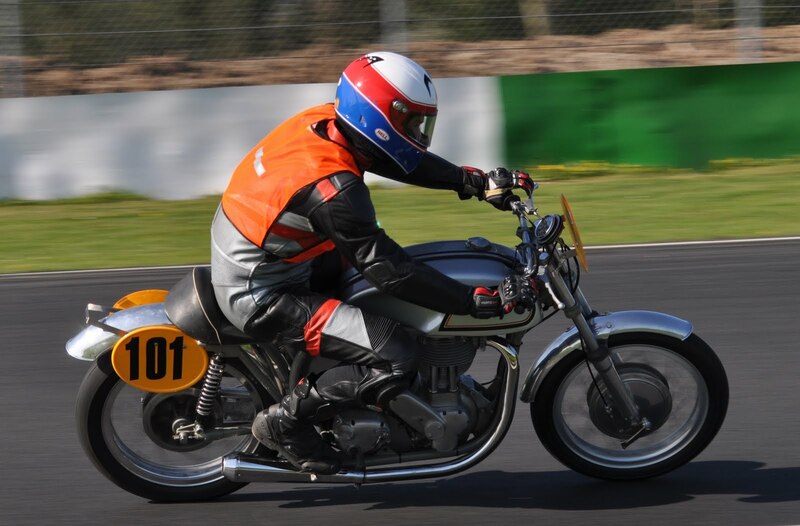 The fantastic weather and brand new surface at Mallory provided the perfect opportunity to put some miles on both machines in preparation for my inaugural race later in the season. 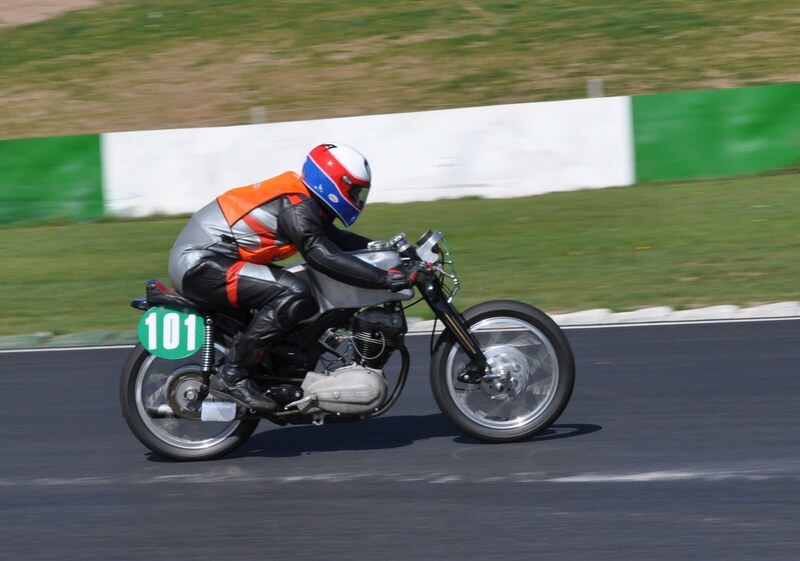 The nimble, lightweight NSU proved itself as an extremely capable track machine, (hopefully like the rider in the near future) diving into turns and remaining very stable at higher speeds. 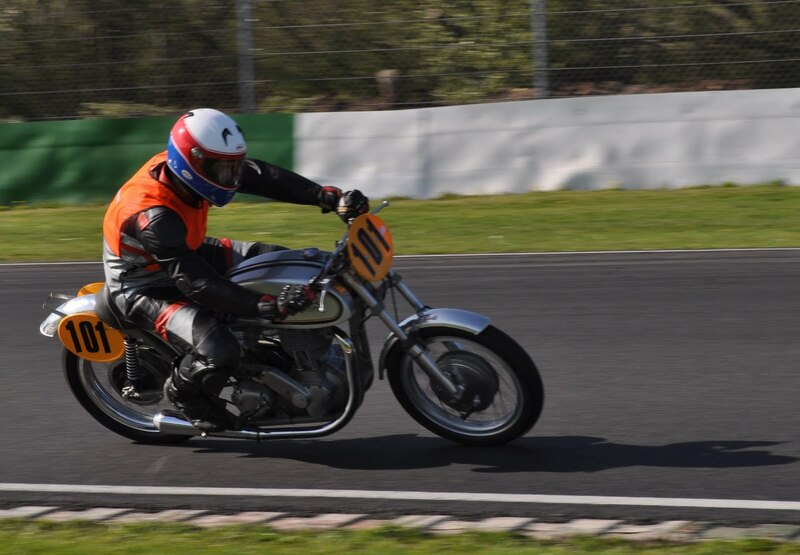 Wearing new Avon Roadrider track tyres the strong little 250 was very stable under braking and encouraged ever higher cornering speeds as my knowledge of the track improved. There were all sizes and ages of machines present, including this pre-war Velocette 350 I'm chasing into Edwine's. 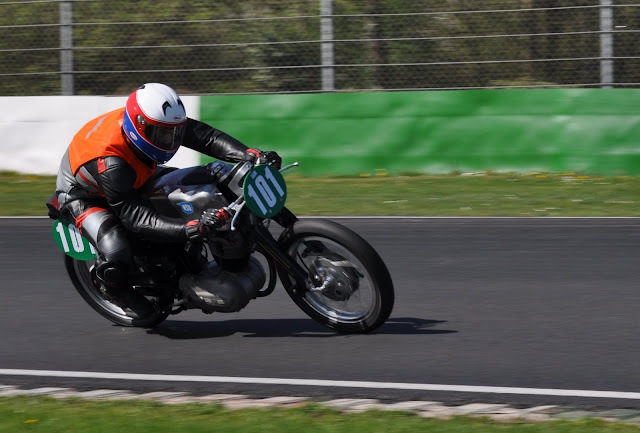 Brilliant video of a very quick lap of the TT course on board a sorted Matchless G50. 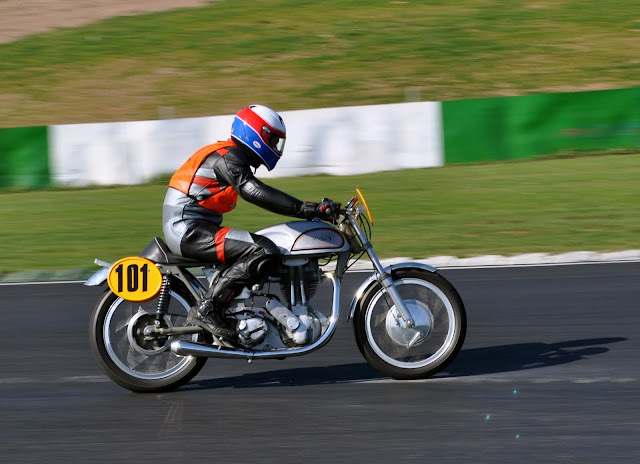 It must take some work to make them go this fast. A new 3D film telling the incredible story of the Isle of Man TT is about to be released. Featuring many of the current superstars including Ian Hutchinson, Guy Martin, Conor Cummins and Michael Dunlop, do you need any more encouragement to get yourself to the cinema from 22 April?